Seeds (during facility phase) or plays on your ship (limit one per ship) or outpost, or on any headquarters. 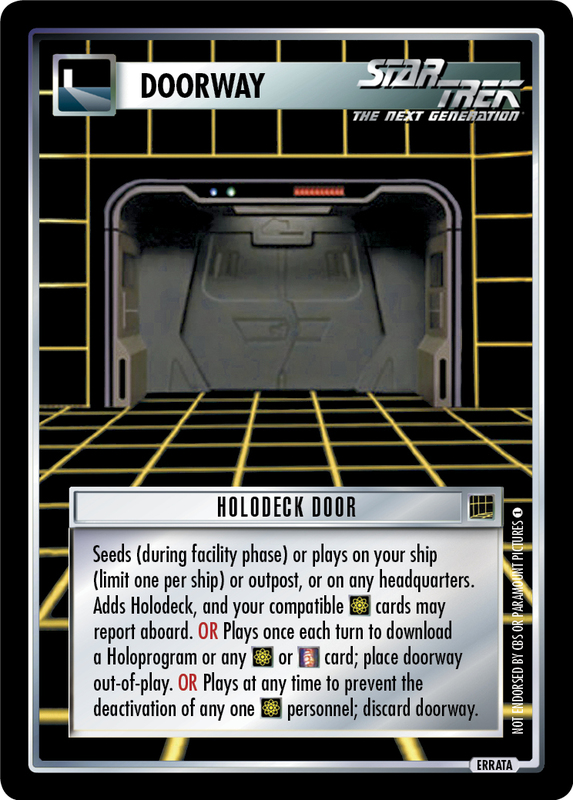 Adds Holodeck, and your compatible cards may report aboard. 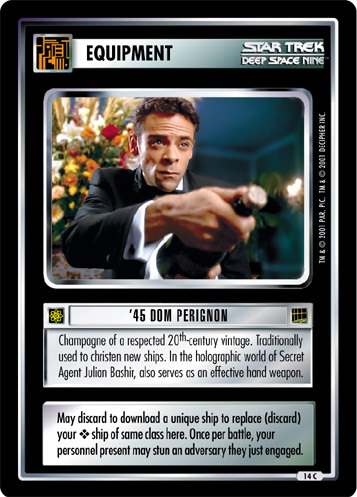 OR Plays once each turn to download a Holoprogram or any or card; place doorway out-of-play. OR Plays at any time to prevent the deactivation of any one personnel; discard doorway.